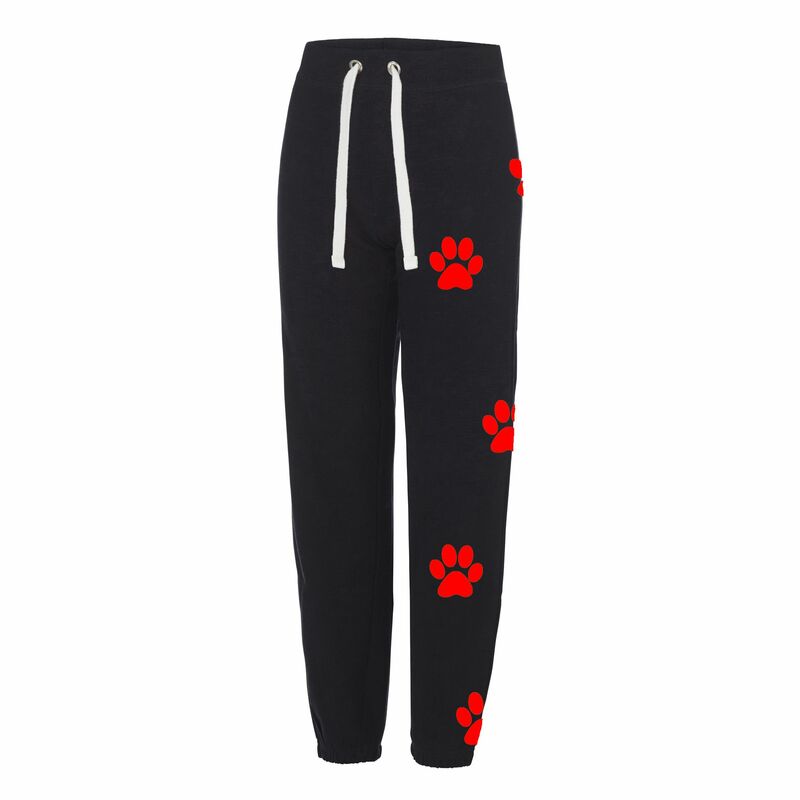 Wessex Canicross black joggers. Club logo on right side, with red paw prints up the left side. Perfect before and after activites to keep you warm and your car clean!